Sign up and receive Property Email Alerts of Houses to let in Keurboomstrand, Plettenberg Bay. 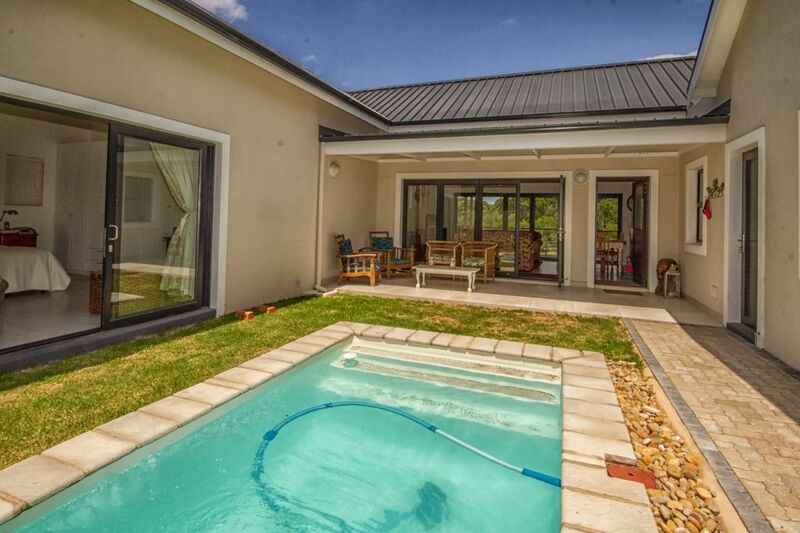 MAGNIFICENT HOME IN THE PLETTENBERG MANOR, PLETT’S EXCLUSIVE RETIREMENT LIFESTYLE ESTATE. This newly build, unfurnished, home is situated in a prime location within one of Plettenberg Bay’s most exclusive retirement lifestyle developments. Overlooking the sand dunes and wetland area, home to a large variety of bird life, this highly appointed home is available for rental on a long-term basis. The property has a fibre optic wi-fi connection. The estate offers excellent security and is located on the outskirts of Plettenberg Bay. In terms of the rules of the estate occupants must be over 50 years. Sign-up and receive Property Email Alerts of Houses to let in Keurboomstrand, Plettenberg Bay.